"Someday maybe I'll remember how to forget"
"The cure for a batting slump? Two pieces of cotton wool, one for each ear"
Somewhere, whether your subject is evolutionary biology or cricket's biomechanics, "the conversation" is happening. It is not the only conversation, of course, but it is the most evolved, and it's spoken in the quickest shorthand, assuming the most knowledge, bringing in the most advanced exponents. This conversation has not yet hardened into conventional wisdom, let alone been oversimplified and corrupted into theory. It is an off-the-cuff conversation between leaders in their field, just chatting, kicking ideas back and forth, and learning partly deliberately and partly accidentally. For when brilliant people in the same field get together, even those subjects they avoid are learning experiences. Where there is heat and protectiveness around an idea - the sideways glance that reveals the speaker thinks he is giving away too much to someone who is a team-mate today but an opponent next month - we glimpse the contours of competitive advantage. The silences are filled with meaning, just as much as the sentences. In the team dining room at Barcelona, over post-match pasta, Iniesta (Spaniard) puts an idea to Messi (Argentinian) and Neymar (Brazilian) about creating space in the final third. Even though the subject is specific to today's match, the three men are using a footballing vocabulary developed by Johan Cruyff (Dutch) and Pep Guardiola (Spaniard). So, three pillars of modern football invisibly support this apparently casual chat: Dutch ideas, South America's wealth of talent, and the finishing school of Spanish football. It is, as you've guessed, the conversation. A new breed of elite coach is learning to ask: can we identify and help batsmen who have been held back and diminished by trying to be something they are not? In the era of the Champions League, Europe's great cities - London, Manchester, Paris, Munich, Milan, Madrid and Barcelona - have hosted an extended conversation about how football can and should be played. It is not the pasta and the espresso, however good they might be, that have led Europe to become football's high table. It is money and status. Though it sounds vulgar, money attracts ideas, in sport as in everything else. Constantine P Cavafy, the early 20th century Greek poet, had a neat riposte to snobby artists who disliked business and money: "Money manures art," he would say. The conversation in cricket has, for some time, been happening at the IPL - the game's most lucrative event. The league's political and reputational problems, sadly, have partly obscured its development as cricket's technical, strategic and tactical cutting edge. Where is cricket at? Where is cricket going? Trying to answer those questions without experiencing the IPL relies on a lot of second-hand knowledge - like trying to understand football without knowing the Champions League. During the winter of 2015-16, Daniel Vettori, coach of Royal Challengers Bangalore, invited me to act as a consultant to the team during the lead-up and early games of the ninth season of the IPL. My job was to help the franchise in any way I could - to observe, to analyse and, where appropriate, to feed ideas into the brains trust. In reality, of course, it was two-way traffic for a writer trying to understand modern cricket, especially how batting is changing. I was living among the world's leading practitioners. 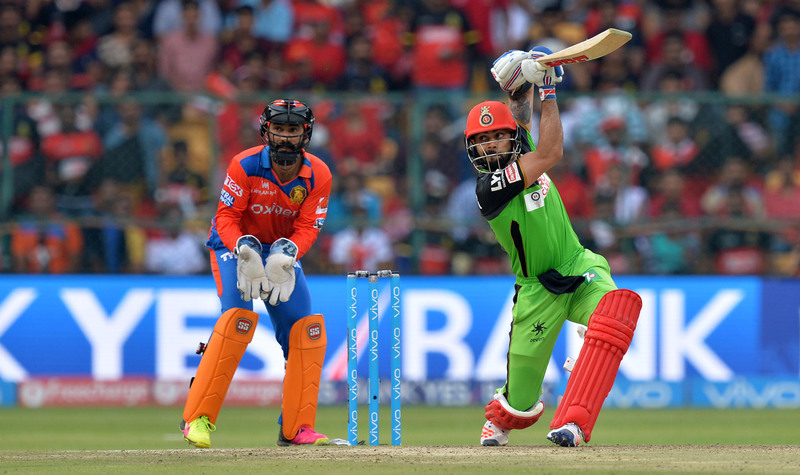 The batsmen at RCB included Chris Gayle (who has scored more T20 runs than anyone), Virat Kohli (who, among a host of other records, is the only man to have scored four IPL hundreds in a season), AB de Villiers (recurrently rated as the world's leading white-ball batsman), Shane Watson (the most expensive player in this season's auction), as well as one of cricket's prospects, the 18-year-old prodigy Sarfaraz Khan. Bangalore, in other words, is to attacking batsmanship what Barcelona is to attacking football. RCB also draws on the expertise of Trent Woodhill, a batting coach who specialises in helping the world's leading T20 players. During my immersion, I found my ideas about batting settling into clearer focus. Above all, my experience in Bangalore helped me to look freshly at the way we define batsmen, a process of categorisation that provides the structure of this piece. S ome cricketers are batsmen first and sportsmen second. Others are sportsmen first and batsmen second. In the first category are Geoff Boycott, Rahul Dravid and VVS Laxman; in the second are Brendon McCullum, Andrew Symonds and Herschelle Gibbs. Imagine that cricket is not just a struggle for mastery but also to establish the terrain of the contest. The first group wants to move the battle onto purely cricketing terms, with their superior knowledge, craft and expertise set against the opposition. The second group, in contrast, backs their superior athleticism and innate competitiveness to dominate the tussle. They want to play "sport", not just cricket. The first group has scholars of batsmanship, happy to be quizzed and tested on their specialist subject. The second seeks a more general contest; their cricket-ness is partly incidental, just one of many games they could have chosen. (Indeed, McCullum played junior rugby ahead of All Blacks legend Dan Carter, Symonds considered a switch to rugby league, and Gibbs excelled at just about every game he tried.) The sportsman-cricketer idea is a continuum, of course, with many shades of grey, but it remains a useful framework. Sometimes admittedly, there is a trade-off or compromise between the "sportsman" and the "batsman". When I watch footage of Ross Taylor - playing pure "sport" - smashing an unbeaten 131 against Pakistan at the 2011 World Cup, I do wonder where that strand of his career went. The answer, probably, is that it was transmuted into a Test average of 45, accumulated using a very different technique: something gained, something lost. With other players, it is when they try to play "technically" or "properly" that they are most vulnerable. When I see Eoin Morgan, for example, being too precise and concerned about appropriateness and convention, I think he looks diminished. In contrast, when Morgan is playing "sport" - instinctive, inventive, accessing a broad range of sporting gifts - that's when he looks dangerous. Something is shifting within the game, however, and it's not quite what people assume. 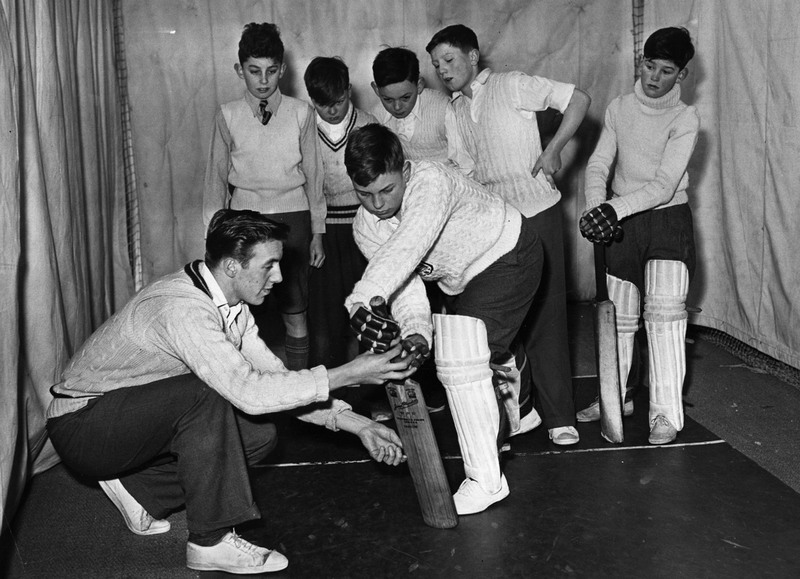 The old presumption within cricket used to be that sportsmen-cricketers could be improved by being educated into batsmen-cricketers. The default view, traditionally, was that more and more technique could and should be layered on top of talent. The evidence from T20 suggests this may be the wrong way round. A new breed of elite coach is learning to ask the opposite question: can we identify and help batsmen who have been held back and diminished by trying to be something they are not? After all, when we watch batsmen try to hit the ball as cleanly as possible, we notice all the contortions - or the freedom from contortion - laid bare. Put differently, what if all batting, properly understood, is the search for your own authentic game? Maybe you had it as a kid, lost it due to "expert" advice, and are now left with a mixed method - one part natural, one part distorted? According to Woodhill, this is the situation in which many players now find themselves. The game's typical response used to be that the distortion was insufficiently complete, that more and more coaching was the solution. A different answer, in contrast, is that batsmen should try to reconnect with their underlying cricketing DNA - and the job of a coach is to help him understand and reconnect with that naturalness, to reintroduce the man to the child. "You have to find yourself," as de Villiers puts it. "You have to find your own unique game." This is not an article, however, against coaching per se. It is really about different types of batsmen, how they are adapting to modern formats, how they are pushing the game forward as they do so, and, centrally, how coaches might help players to adopt a more helpful framework for understanding the role of technique. How you stand, how you grip a bat, how you exert power when hitting a moving object, which foot is dominant, which side of your body is more assertive: might these clues provide the tracing-paper sketch of the optimal player inside you? I think they can. W hen I retired as a cricketer in 2008, I expected to close a sporting chapter in my life. I took a job writing editorials (or "leaders" as they are called in England) for the Times and wrote a book about luck. I had played sport professionally for 13 years - time for something else. Tennis helped draw me back to sport. I found the four-way rivalry of Roger Federer, Rafael Nadal, Novak Djokovic and Andy Murray not only thrilling, but also aesthetically fulfilling and deeply interesting. Taken together, the four represented a significant chunk of sporting experience. Their contrasting personalities added up to an extensive psychological map of sport. They had it all, and yet so little overlapped - how was that even possible? Following Philip Larkin's advice ("Stay close to what moves you"), I watched and wrote about their matches in Paris, Melbourne and London. I was certain I was seeing not only their sport evolve, but also sport advance, full stop - skill, athleticism, belief, and endurance in perfect balance. In Bangalore as I watched de Villiers and Kohli practise and compete, I kept hearing echoes of those days spent watching Federer, Djokovic and company. When de Villiers was batting, I found myself gravitating towards his net almost involuntarily - just as I do when Federer is on the practice court. The sound of de Villiers' bat was so crisp, the contact so pure, the movement so economical, the shots taking on an aura of inevitability. They were bowling as bowlers do - with a combination of natural and deliberate variety - but it looked like de Villiers was facing a bowling machine on a perfectly predictable pre-set. Did he know at the top of their mark what they were going to bowl? That is mostly an illusion, I think, but a revealing one. Even in matches, de Villiers creates the impression that the bowler is complicit in the shots he plays: that he bowled it there deliberately, drawn inexorably to the stroke de Villiers had in mind, as though the bowler is an excited spectator, not wanting to thwart expectations. We all know that isn't true, and that the bowler is trying like crazy to outwit de Villiers, but it doesn't feel that way - so great is de Villiers' apparent suspension of time, so liquid his movement and decisive his strokeplay. Fancy a sweep for six? Coming up AB, no problem. He destroys bowlers while creating the illusion of overall cooperation. We are all friends, aren't we? We are helping each other do this, to create these remarkable feats, aren't we? This, of course, is classic High Federer: a benevolent dictatorship. 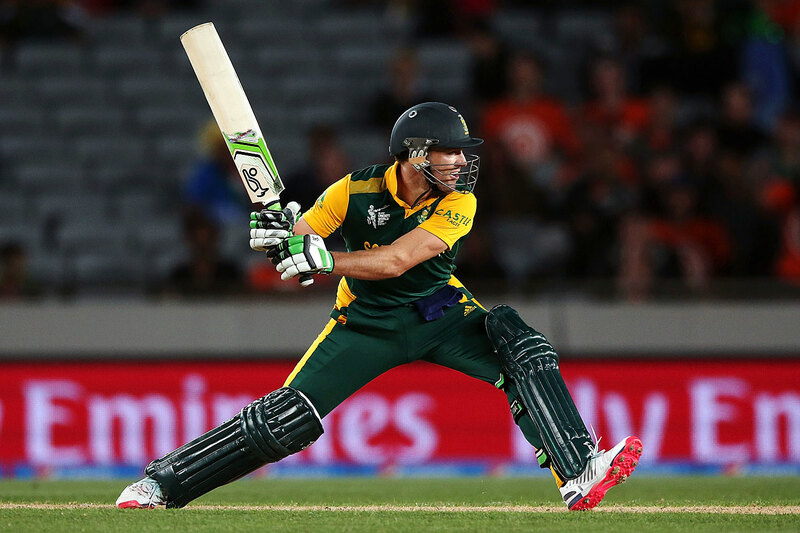 In my opinion, de Villiers is the best ball-striker in the world. If cricket had to send a batsman to Mars to demonstrate how to hit cricket balls, I'm sending him. Federer's Grand Slam record, eventually, may not prove to be his point of difference (Djokovic is chasing him remorselessly). But if you could ask all current professional tennis players to name the game's pre-eminent genius, they would say Federer, to an overwhelming degree. Inside knowledge isn't always right, but about pure talent, people close to the subject tend to know. Ask cricketers to name the game's freak, they'll say AB. When de Villiers walks into a room you sense exactly that. He does not signal this pre-eminence himself. It is written on everyone else. Watching Kohli, I had flashbacks to another of that tennis quartet: Djokovic. As with Djokovic, Kohli was a prodigious talent who tasted early glory. As with Djokovic, it took a while for that promise and confidence to turn into consistent achievement. Like Djokovic, you sense sport is the expression of his epic personal desire and commitment. Kohli's investment in success is total and self-reinforcing - hard work, desire and self-belief loop back into each other. Like Djokovic, Kohli has turned his body into an agent of that self-belief; a body dedicated to a game that is dedicated to success. Like Djokovic, Kohli combines fierce and literal determination with hints of mysticism - if you want something enough and commit to it sufficiently, good things will certainly happen. Above all, and again like Djokovic, Kohli wants to take the contest deep, right to the wire. He wants to be tired and for the opposition to be a bit more tired. He wants his technique and fitness to get him to the point where the game is more elemental than either domain. Me against you, and what have you got? Because with me it goes deep, very deep. In RCB's second fixture, against Kolkata Knight Riders, at Eden Gardens, needing to win every game to advance to the qualifiers, Kohli split the webbing on his left hand while fielding. He briefly left the field to be patched up and then returned to finish the fielding effort. No surprise. Nor was his subsequent match-winning innings, an unbeaten 75, after which he had to get several stitches. It is difficult to stop Kohli from doing something he wants to do. His next match - stitches still in place - yielded another hundred, his fourth of the season. Five weeks before, in the RCB team room ahead of the season's first game, I sensed others were thinking what I was thinking. There'll be one day - one perfect day above all others - when those two, de Villiers and Kohli, reach right up to the limit of what can be done with a cricket bat, at the same time. In the summer of 1998, an excited young Andrew Flintoff joined up with the England team for the first time for the usual round of nets and meetings. Two days before his Test debut, the thrilling culmination of a cricket-dominated childhood, the 20-year-old Flintoff was taken to one side by one of the coaching staff. He was told to change his batting grip, on the grounds that the existing grip wasn't appropriate for Test cricket. Flintoff batted three times in his first Test series, scoring 17, 0 and 0. The grip is the first domino of batsmanship. Nothing is more fundamental to technique than the way the person is adjoined to the tool of his craft. Grip is much more fundamental than stance, for example. I could stand in any number of different ways but still feel myself as a batsman. But whenever I changed my grip, it felt as though I was a trespasser inside my own game. It is staggering to think that a coach would even countenance, let alone explicitly advocate, changing a young player's grip on the eve of a new and daunting challenge. What if all batting, properly understood, is the search for your own authentic game? The grip is also one of the few aspects of batting technique that seldom begins with an intuitive solution. In the vast majority of cases - not always, but usually - someone shows a nascent batsman how to hold the bat. I know this as a cricketer and as a parent. After all, what am I supposed to do when my son, nearly three, picks up a bat? Though I am intellectually persuaded by the merits of an intuitive learning environment, I am also aware that there are better and worse ways to hold a bat - we can all agree, after all, it is easier to present the face of the bat rather than the edge. Even for a resolutely non-"Tiger Mom" parent, it is difficult, perhaps absurd, to offer no input at all about how a child should grip the bat. So we tend to show kids how to do it, however lightly and vaguely, in the hope that a good grip will help them to hit the ball more easily. Hence we guide naturalness. Though that sounds like a contradiction, it is, in fact, inevitable. The point is that habits form remarkably quickly, which is why every coach and parent makes thousands of judgements (usually spontaneously) about whether to offer advice. It is easier to create a habit than to erase it. If that sounds optimistic, think again: the downside of coaching is greater than the upside. All of this has implications for coaching way down the line, as that bizarre story about Flintoff reveals. The foundations of Graeme Smith's game (extremely closed bottom-hand grip, enabling dominant on-side play but requiring major readjustments in off-side play) were hugely different from the causal chain that flowed through Damien Martyn's game (open grip, facilitating late and deft off-side play, but not naturally suitable for powerful on-side shots). The first question, therefore, should be about the first domino: what is it that causes this player to play as he does and how much, if anything, can be changed without damaging the whole? Imagine you have bought a 16th-century house. What should you do to it? The first question the owner or architect should consider is what has already been done to the original. Has it been messed up and distorted, with beautiful features obscured and ruined by rash, cack-handed renovations? The easy thing to do is just to layer on yet more "improvements", plastering over previous changes. But the danger with beginning in this way, before you've even discovered what's underneath, is creating yet further distance between the house as it stands today and the house it ought to be. Activity is not the same thing as progress. By the time a sportsman plays at the elite level he may still be young in years, but he is almost always already a mature athlete. Thousands of hours of practice and technical reinforcement are in place. The groove is pretty deep. The sportsman has, almost certainly, experienced thousands of pieces of advice and heard countless recommendations - from peers, parents and coaches. His technique or style, therefore, takes the form of an unavoidable compromise between two sets of factors: first, a unique body directed by a unique mind; second, the many circumstances and outside forces that have shaped and influenced the person and player. In other words, a top-flight sportsman - even a relatively young one - is unavoidably like an old house. He is not, and cannot be, a formless clay model to be moulded at will into any shape of the coach's choosing. The real challenge for elite coaches is to act like a highly sophisticated restorer, to identify and restore the authentic player. The danger is thrashing around like an unskilled plasterer. This is harder than it sounds. The phrase "I am paid to get things done" has become a mantra of professionalism. Hence professionalism is naturally tilted towards meddling. It is much easier to impress the boss by saying "Here is a list of the things I've done for you" rather than "These are the things I've avoided for you." "A coach can help a bit, but he can mess you up a lot," Woodhill likes to say. "A lot of it is staying out of players' way." It takes confidence, however, to stay close to that principle. Above all you have to get the interventions you do make really count. As Richie Benaud nearly said, "Coaching is 90% non-intervention, 10% intervention. But don't try it without the 10%." What kind of batsman is he? Traditionally the answers have been framed by two concepts: Is he a front- or back-foot player? Is he an off- or on-side player? Obviously answers to both questions exist on a continuum, with some players well balanced on both counts. But interrogate the question of front- versus back-footedness and it quickly becomes problematic. 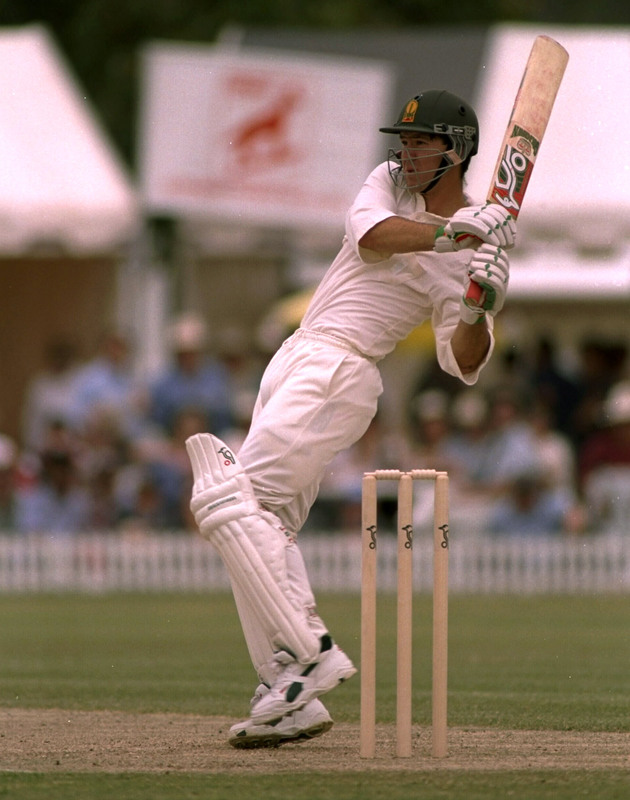 Ricky Ponting, for example, was in many ways a classic front-foot player. He strode confidently towards the bowler, however fast the ball was travelling. He was the ultimate exponent of the advice "take a big stride". And yet many of Ponting's most devastating and brilliant shots would be casually filed under back-foot shots. That is because the famous Ponting pull or hook - the shots that revealed his remarkable quickness and hand-eye coordination - were, in fact, played off the front foot. So in this instance, the front or back-foot categorisation isn't that helpful. 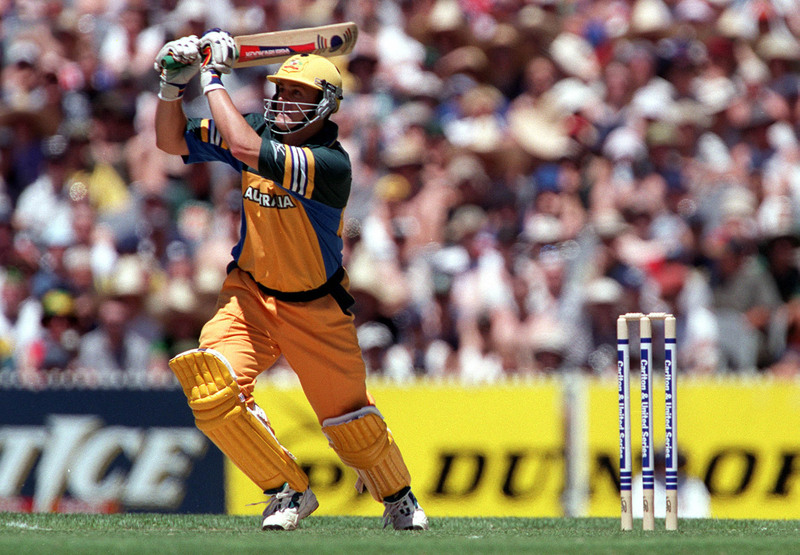 Ponting was a front-foot player who was notably brilliant at some back-foot shots. That is why Woodhill uses a different framework for understanding Ponting, describing him as "left-side dominant". By this Woodhill means that Ponting played with most power when his balance was on his front, or left, foot. These left-sided shots obviously included straight and on-drives, but also encompassed Ponting's pulls and hooks. Viv Richards was another player whose signature movement was an aggressive advance towards the bowler, but who was able to pull and hook from powerful positions on his front or left foot. In contrast, let's consider Steve Waugh, who is probably thought of as a back-foot player. It is certainly true his feet were deeper in the crease than many, and he was not inclined to stride towards the ball. 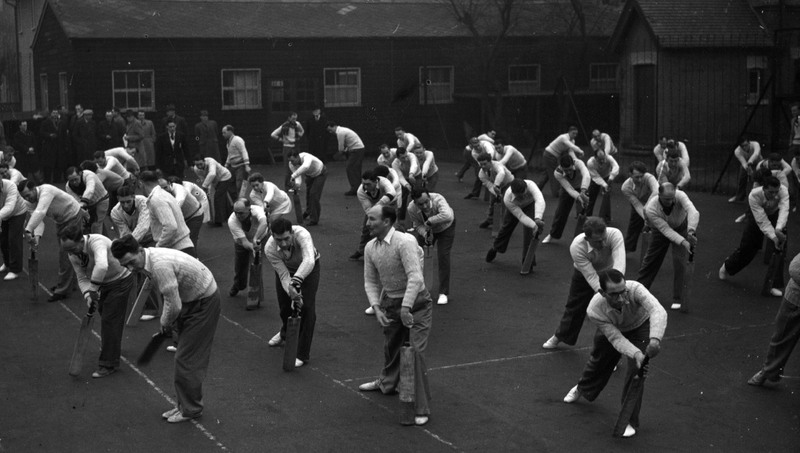 Yet one of Waugh's signature shots was the iron-wristed straight or on-drive - the benchmark of ultimate front-foot play and pure technique. Waugh could - or needed - to play this shot in his own idiosyncratic style. He would play it very late, with his weight still largely on his right foot, hands almost on his right hip. Woodhill describes Waugh as a "classic right-sided player". 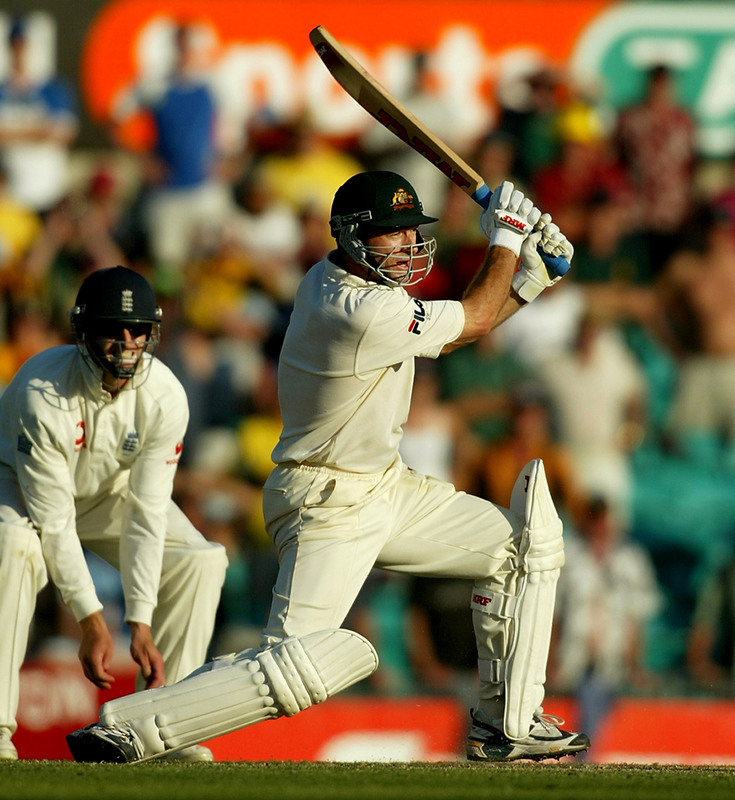 A good illustration is one of Waugh's most famous shots, the boundary that brought up a hundred off the last ball of the day on his home ground in Sydney in January 2003. How would you describe the shot itself, played off the offspinner Richard Dawson? At first glance it looks something like a square cut. But that's deceptive. This is a good-length ball, edging towards a half-volley. At the point of contact, Waugh's shoulder, elbow, hands and bat face are perfectly aligned like a textbook cover drive should be. So it is a back-foot cover drive played to a full-ish ball. Or, as Woodhill decodes: "Waugh did what he usually did - gained power from his right foot with his weight over his right side." By the end of his career, it was impossible to categorise many of Waugh's off-side shots using traditional categories. Rather than driving or cutting, he was able to flay boundaries off balls of different lengths, using a similar power position - with his weight strongly over his right foot. It is a truism that there were two halves to Waugh's career, with the free-flowing all-round player of the 1989 Ashes yielding to the gritty pragmatist of later years. The pivot is usually perceived as the fact of him being axed, then giving up the hook and finding an improved method against pace. All true. Alternatively, Waugh reached a gradual reconciliation with his natural aptitudes - how he best accessed power, and where he liked to hit the ball in terms of weight distribution. Ironically, Woodhill, growing up as a Sydney grade cricketer, partly modelled himself on Waugh 1.0, who stroked cover drives and swivelled on a pull. "Right player, wrong version - should have copied him in 2002. I spent my career trying to play 'properly', fighting who I really was, the player inside me." It's a mistake Woodhill wants to avoid inflicting on others. "My mind is like a slide show, a catalogue of imaginary photos of the batsmen I work with. When I see them out of form, I try to find the slide in my head that shows their technique in great shape. What's different? What's changed? How can they click back to the 'right slide'?" Woodhill has worked closely with Steven Smith and David Warner. He downplays his influence, insisting that coaching someone you know really well sometimes takes the form of a short text message - a few words, a tiny prompt that might jolt the wrong slide into the right slide. "Everyone batting well, no one crediting the coach - that sounds perfect to me." Note also the angle of Waugh's bat on contact with that Dawson ball: almost perfectly 45 degrees. This is precisely how batsmen are usually told not to bat. Listen out for how often coaches and commentators instruct batsmen to play with either a vertical bat (for example, the straight drive or any ultra-pure vertical-bat drive off the back foot) or a horizontal bat (the full-blooded square cut) - but nothing in between. The advantages of the in-between angle are glossed over, though they are especially prevalent and effective today (and not only in white-ball cricket). The old theory of vertical-or-horizontal was predicated on the principle that batsmen generally looked to leave every ball that wasn't an easy four-ball outside off stump. But now players hit length balls in the channel as a matter of course, and in white-ball cricket, necessity. Many of the best at doing this gain an advantage by using the most natural swing available to them, regardless of the angle of their bat. They swing at where the ball actually is, rather than swinging in the hope that the ball slots conveniently into either a vertical- or horizontal-bat shot. 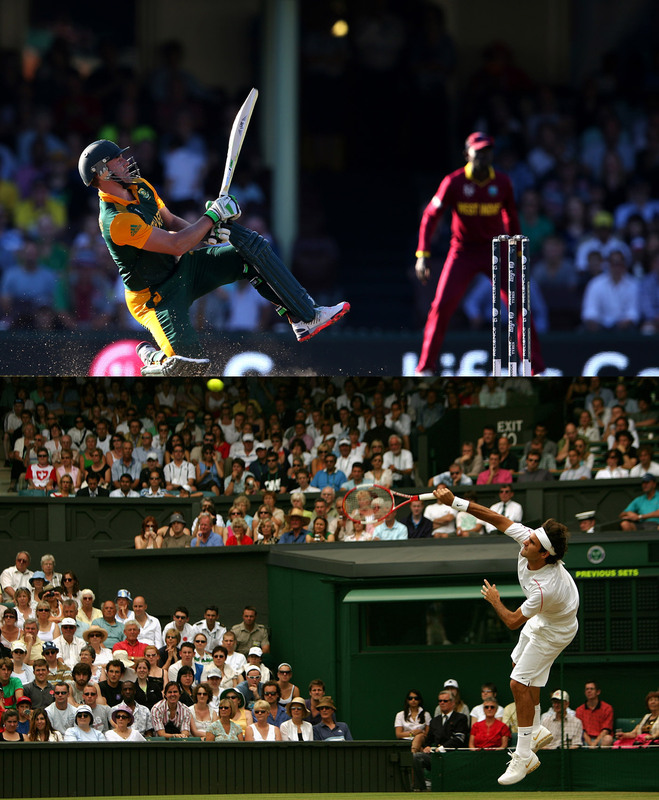 Consider three of the best pure strikers in recent decades: Adam Gilchrist, de Villiers and Jos Buttler. Gilchrist was often at his most effective when he was least traditional or conventional. He elevated the uninhibited swing outside off stump - often played with the bat at or near 45 degrees - to the level of high consistency. He looked to hit the ball with the middle of the bat, and swung the bat to the line of the ball in the most natural and instinctive way. Cut or drive? Horizontal or vertical bat? Those categories weren't especially relevant. Bowlers generally try to bowl the ball in the channel, and Gilchrist (on many surfaces) had remarkably consistent attacking options to their stock ball. It can only be concluded that Gilchrist had superb technique - after all, technique is really just a set of solutions to the various problems set by bowling attacks. Readers waiting to jump in with the critique that Gilchrist's technique was "exposed" in 2005 when Flintoff bowled reverse swing from around the wicket, think again. Viv Richards was lbw sometimes but he remained a pretty good leg-side player, all things considered. All batsmen fail, sometimes in clusters. Yet Gilchrist's special quality is rarely framed as technical supremacy. We fall back on concepts like "talent", or even the fact that his grip was slightly high on the handle (as if that could explain everything). Let me offer a more fundamental explanation. Gilchrist used the best possible swing for the ball that was bowled at him. Sometimes this was a vertical swing, sometimes horizontal, and often it was in-between swing, closer to the stigmatised 45-degree swing. Instead of fretting about correctness, Gilchrist honed appropriateness: the right swing at the ball. This was an evolutionary advantage. Indeed, it has flourished in the ecology of modern batsmanship. If Gilchrist evolved the idea of an appropriate swing rather than a correct swing, de Villiers has taken it to the next level. Leave to one side, for a moment, his ramps and deft sweeps. Let's focus on clean hitting. 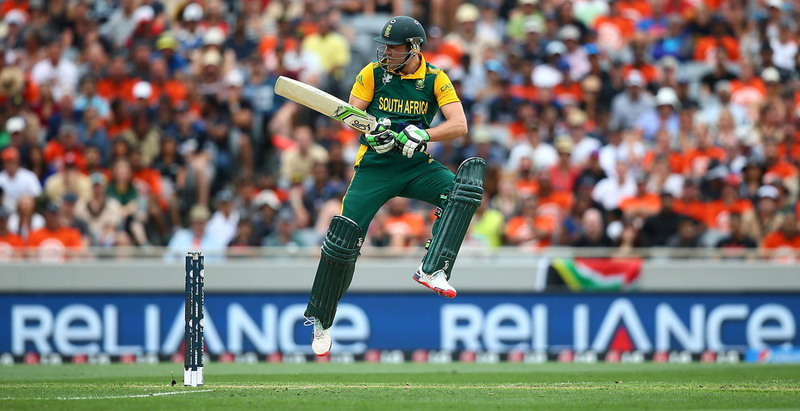 De Villiers, too, finds the best swing to match the ball more often than most players can manage. Instead of being imprisoned by categories of shot, he lets the bat do what the bat does, to go where it most naturally goes, answerable only to the line, length and speed of the ball. As a result, de Villiers will play shots that appear to be "perfect cricket shots" - with control and power in equipoise - even though they are, in fact, pretty new to cricket's lexicon. Hence, the really frightening thing about de Villiers' batting - a quality he shares with Kohli - is the combination of technical mastery and pure sporting instincts. He is a polished, sophisticated batsman and an untrammelled sportsman: Dravid and Symonds in equipoise. When I witnessed de Villiers' 82 off 42 balls in RCB's opening game this season, some of his shots seemed adapted from tennis. One straight six, drawn from outside off stump, was hit with a slight roll of the wrists on contact, a top-spin flick to get the ball over the net - or, in this instance, into the stands. De Villiers' first sport was tennis, not cricket, a point we will come back to. Lesser players might say, "Hit this ball over mid-off - that's the best gap." 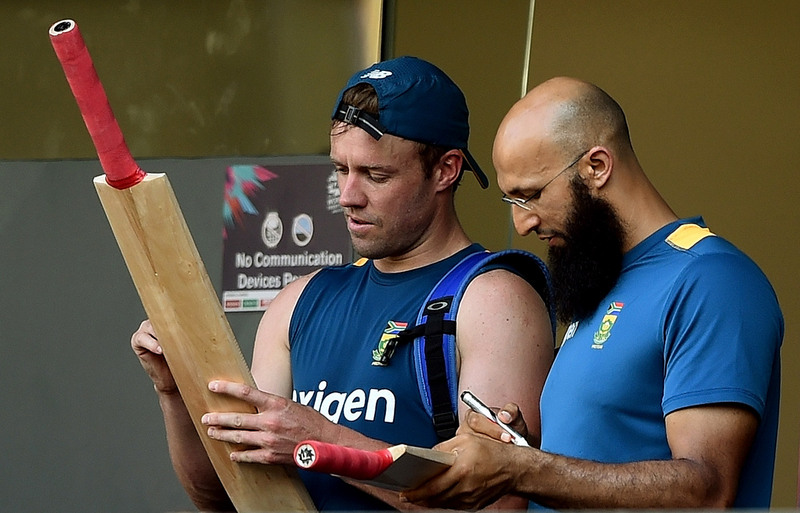 In contrast, de Villiers appraises a range of options, but with vast flexibility built into his decision-making. His swing is a powerful factor - alongside remarkable athleticism, daring and pure ability. Again, the appropriate swing in terms of extension, angle and speed - not the correct swing in terms of "cut" or "drive", vertical or horizontal. A third exponent of the appropriate swing is Buttler. He is another fine all-round sportsman, adept at many games, including tennis. The shot of his to recall is played from a full ball outside off stump, perhaps a wide half-volley. Buttler often hits this dead straight, or only fractionally towards the off side - a little bit of topspin, late right-hand power, no bother at all, 20 rows back. He does this by drawing on something old and something new. Stop a TV replay with the ball halfway through its journey, and you'll see that Buttler's head, shoulders and hips are classically poised and sideways - he is set to play the ball late and, apparently, conventionally. But where the older generation of batsmen would feel compelled to use that shape to hit extra cover with a traditional in-to-out drive, Buttler does something much more natural. Using an angled bat, slightly hooding the face of the bat on contact if that helps the natural path of the bat, Buttler hits what might be an inside-in forehand winner in tennis - only it lands in a cricket crowd. Sport fetishises strategy because strategy is easy to talk about. Smartness, being a step ahead, out-thinking, outfoxing, blah blah blah. We've all said those things. Sometimes they even apply. But how often, I wonder, do we use the language of strategy, cunning and anticipation to hide the fact that we lack the ability to bring technical excellence to life as a narrative? Lacking appropriate words and concepts to describe real excellence and mastery, we fall back on psychobabble and guessing about guesswork. Lots of cricket people say that de Villiers has off-the-scale perception, or the ability to anticipate what the bowler is going to bowl next. There are two elements to perception. First, as in a card game, the batsman is trying to get inside the bowler's head, to understand his tactical rhythm and sequences. Secondly, top batsmen are better at picking up cues during the bowler's delivery stride and action. These may be conscious - such as seeing the grip used for a slower ball - or subliminal, the sense that something is different, even if the batsman isn't sure what. The problem, from the point of view of methodology, is that the evidence for players having superb perception is that they play the appropriate shot more often than the rest. But the same evidence could support an opposite theory: that they have a wider range of shots, so they are able to wait for longer and trust themselves to react to the ball bowled, rather than committing to an early guess. Attributing success to strategic perceptiveness may be an illusion that analytically diminishes a higher skill - total mastery. I asked de Villiers about "knowing" what bowlers were going to bowl. He says that sometimes he does seem to get inside a bowler's mind - in particular when he senses vulnerability. He attributes this partly to a general sporting instinct, rather than just cricketing insight: "When I played rugby I could time a pass, find space, put a man through a gap. It's the same thing." De Villiers' first sporting passion wasn't cricket or rugby but tennis. As a boy, he spent hours hitting a tennis ball against a wall at home, striking the ball either side of his grandfather, who sat in the line of fire, casually reading a newspaper. "He never flinched," de Villiers says. De Villiers only turned properly to cricket during his teenage years, when he started to find tennis too individual and unfulfilling. When you watch him field and bat, you see his completeness as a sportsman. His spatial awareness and the capacity to operate comfortably in many different modes. More than any modern cricketer, de Villiers can move freely between cricket-specific precision and pure sporting prowess. He has all the gears. There are two separate points here. The first is the delayed benefit that de Villiers still accrues from his broad sporting education. Forget trying to turn everyone into Tiger Woods. There is mounting evidence that early specialisation is actively detrimental. An American study of professional baseball players showed that the optimal teenage education was not playing baseball exclusively but also keeping up American football and basketball. In a separate study of classical musicians, the psychologists John Sloboda and Michael Howe studied 42 gifted children at a musical academy. The exceptional ones practised much less than the average performers at their first instrument, but much more than the average ones on their third instrument. Some skills - both cognitive and physical - are clearly transferable from one discipline to another, even if that process remains mysterious. The second point about awareness is that mastery sometimes takes on the illusion of anticipation. I don't disagree with the consensus that de Villiers has a high degree of sporting intelligence and intuition. It is also true, however, that in the heat of the death overs de Villiers has as an almost infinite set of options. Indeed, one of his nicknames is "360". Bat raised and waiting for the ball - as yet entirely unaware of whether it is a slower bouncer or a quicker yorker - de Villiers sees the whole field. This clarity can manifest itself as foreknowledge. Imagine watching someone complete a concise crossword - the kind that tests vocabulary - in astonishingly quick time. One explanation is that he has looked inside the paper and memorised the page where the answers are printed. The second is that he simply has remarkable mastery of vocabulary. We might think about death hitting using the same framework. When watching a brilliant batsman, who apparently has the right solution to every ball, even at 90mph, it is tempting to think, "He knew what was coming - he's super smart." But the alternative is just as plausible: he didn't know beforehand, and didn't need to know. There is an argument that the rapid and thrilling evolution of batsmanship has created disequilibrium - that big bats, small grounds and muscled bodies have empowered batsmen while enfeebling bowlers. Is this a golden age for batting only? In fact, the cricketing revolution created by T20 is very young. For batsmen, the artificial suppression of attacking instincts - "you can't do this", "do as has always been done before", "steady now" - has only recently lifted. As a consequence, the rules of engagement have shifted. In time, I expect that bowling will adapt to this new environment. The interesting question is whether the bowlers of the future will strike out in entirely new directions, or as has been the case with batting, combine the best of the old with the new. One of my favourite cricket photos hangs at Lord's, near the entrance to the indoor cricket centre. I used to practise there in the winters when I played for Middlesex. 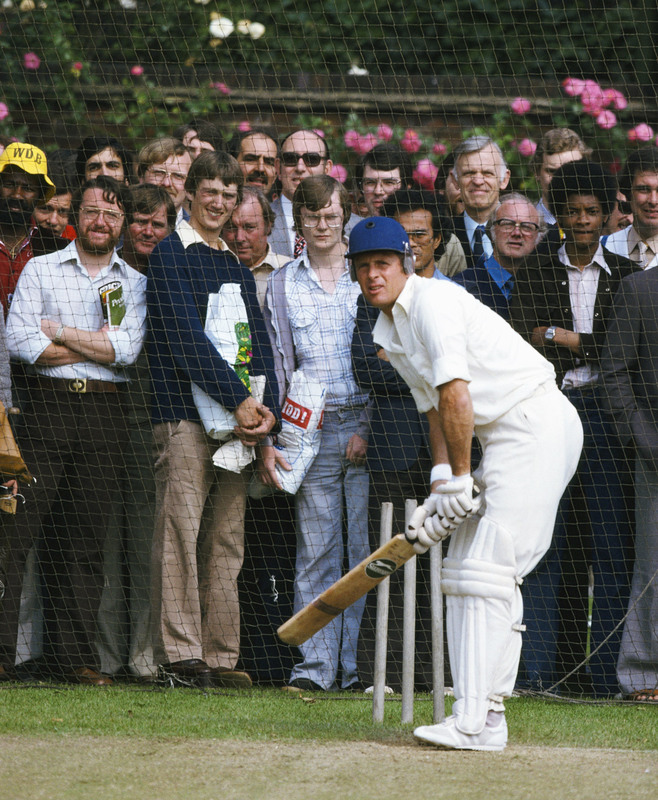 The batsman is Geoffrey Boycott - navy England cap, eyes focused like a hawk, the whole body poised in expectation. As a great classical technician, Boycott is perfectly sideways - he stands parallel to the bowler. Because the photo was taken from behind the bowler's arm, the right side of Boycott's body is invisible. His shoulders, hips and knees are all lined up in synchronicity directly towards the bowler. There is no squaring up, no jackknifing of the body. Boycott's hands are brushing his back hip - "tight", as pros would say. Those hands will not get drawn wide unless he is playing an attacking shot. This position was once the ultimate model for technical excellence. It allows players to play late, with the ball alongside them, rather than out in front. Boycott's sideways, parallel shape - which allows lateness of contact and decision-making - is not often coached these days. That is partly because coaches have become weirdly concerned about "blocking off" or "closing off", in which the front foot goes more to the off side than the back foot. The problem with this is unclear, given that pretty much every great player does it to some degree. As a coaching theory, fretting about blocking off is like adopting an economic model that works in theory but not in practice: conclusion - change the world, not the model. The second reason for the departure from stressing sideways and lateness as central principles is connected to the advent of bowling machines, which have the unfortunate side effect of making batsmen play the ball early, as if they know where it is going to go, which, of course, they do. During the IPL, however, I had a flashback to that Boycott photograph, so emblematic of old-school virtues. It was footage of a batsman's first ball in what became an innings of the highest calibre. The batsman's hands were also brushing his back hip, as though he was trying to be compact and precise. The blade of his bat momentarily actually touched his right shoulder, such was the compactness of his swing. This perfect, pure swing turned into a cover drive, for two runs. The second ball, a similar swing decelerated into a defensive shot, played with Boycottian lateness and control. Watching the footage again after the game, I slowed down those first balls, at the point of the ball being released: the shoulders, hips and knees were perfectly sideways and parallel, the right side of his body invisible, just like that Boycott photo. The batsman? You've probably guessed it was Kohli. During the shot, it is true, Kohli will sometimes become more square-on than Boycott. 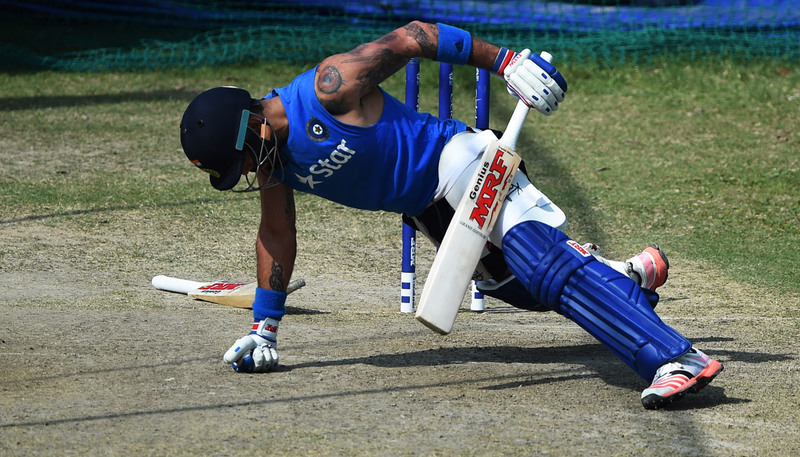 But Kohli's set-up, his stance, back swing and pre-release preparation could not be more timeless. His technique is, in fact, like a palimpsest for the game's oldest scripts. The story of batting is not always splitting off and breaking up. It can converge and unify as well. (De Villiers, incidentally, also uses the same basic game in Tests as T20s. "The basics of my technique," he says, "do not change at all across the different formats.") Kohli is currently in that moment only a few athletes experience: the full realisation of his great ability. This is his time and he knows it. He glows with the sheen of epic confidence. That confidence is well founded, based on correct appraisal of the facts. Though no one could have predicted the scale of Kohli's dominance in this IPL, some things were perfectly clear from the outset. His entire game - mind, technique, hunger and readiness - were in place. There seemed to be no impediments standing in his way. Kohli is also ridiculously fit by cricketing standards. On a team night out with RCB, he first taught me how to get better at ten-pin bowling - your correspondent responded well to the captain's coaching - and then talked me through his commitment to healthy lifestyle and training, over a cup of green tea. He has a body fat percentage of just over nine. "But Djokovic's is 7.5%," he added instantly. When you are chasing Djokovic, the mountain air is thin indeed. Kohli is also a fine counterpoint to the idea that T20 will become a careless, unintelligent game in which batsmen place little value on their wicket. Kohli, in contrast, is totally invested in playing a proper innings, getting into the contest, showing his full hand and, above all, defining the shape of the match. Watch him walk out to the middle. This is not a man going out to whack a few shots and have a laugh. Indeed, of all the athletes I have been around - first as a player, then as a professional observer - Kohli's investment in success is the greatest, except for maybe Djokovic. But it's a close call. I n 2015, I wrote for ESPNcricinfo about marathon runners. Nearly all the best are drawn from a particular Kenyan tribe, the Kalenjin, an ethnic group of around five million people living mostly at altitude in the Rift Valley. The best of them grow up running without shoes. The debate about whether other athletes should try to mimic the barefoot running technique remains contested and unresolved. However, it is overwhelmingly likely that the unshod childhood of the Kalenjin does contribute to their pre-eminence as distance runners. And yet it is also true that as soon as Kalenjin athletes can afford running shoes, they buy them. They know that the protection offered by modern footwear helps them to rack up the epic number of hours of training required to become serious distance runners. So here is the conundrum. If an athlete wears shoes too often and too early, when his natural technique and running style are still evolving, he significantly reduces his chances of becoming a champion distance runner. But if he doesn't wear them at all in the later stages of his athletic education, he jeopardises his ability to train and perform optimally when it matters. Put simply, the advantages of modernity and technology need to be first withheld and then embraced. Most Kenyan runners begin wearing trainers in their mid-teens. Some sports scientists argue that if they could hold off for another two or three years, they'd be even better as adult athletes. But no one knows for sure exactly when the "right" time to start running in shoes is. Logically there is a further complexity. Imagine two equally talented developing athletes, one with shoes, the other barefoot, neither yet at their athletic peak. Wearing shoes, by assisting training and recovery, would yield an advantage at the time. But that short-term advantage would leave behind a long-term disadvantage, by depriving the athlete of the legacy that barefoot runners enjoy when they begin wearing shoes at a later stage. In other words, building the right foundations during adolescence is more important than doing whatever it takes to win at the time. 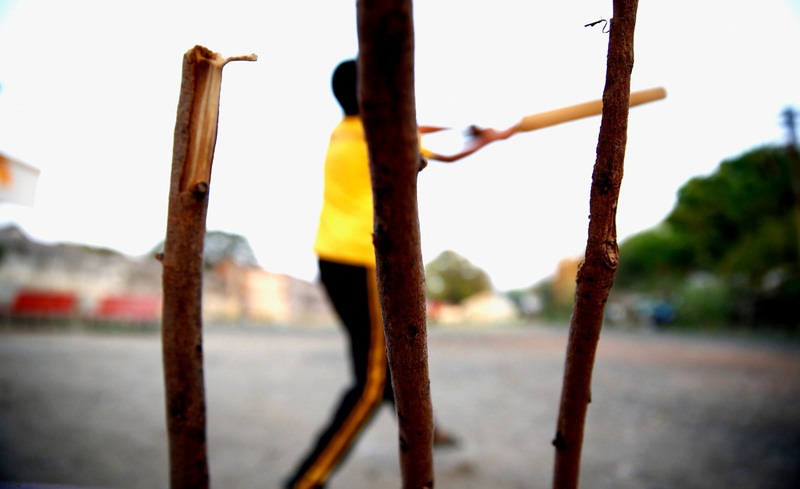 What else can cricket learn from the Kalenjin? The analogy is obviously inexact. It is possible to run well with zero coaching, though that is less likely in cricket (as we saw with the grip). But the deeper point holds. For developing cricketers, early specialisation and over-coaching - though it may apparently yield an advantage at the time - turns into a disadvantage over the long run. De Villiers might have been a "better" cricketer aged ten if he'd played only cricket. But at 25, the rugby and tennis inside him helped him to go past the players stuck in a cricketing ghetto. One constant danger in the era of ultra-professionalism is that our sport falls prey to the delusion that educating cricketers can be turned into an exact science, with the latest fads and theories imposed on the next generation across a worldwide network of "expert" and "professional" academies. This problem is exacerbated by cricket's tendency towards hobby-horseism. A good idea is turned into a mantra that hardens into rule. You must do this, you can't do that, there is only one way. A fad breaks out that takes on a momentum of its own. In fact, we are increasingly learning that the best players usually develop (though not always) through a complex, intuitive and often mysterious mixture of informal and formal learning, with informal education - "no trainers" - dominating the conversation in the early years. Who are the Kalenjin of batsmanship? In terms of the number of players possessed of superb technique, I think India leads the world. Part of this, admittedly, is the sheer volume of candidates. Another factor is that fewer Indian players - compared to English ones, for example - experience a structured or official learning environment at a very young age. They play. So their batting accidentally benefits from the Kalenjin pattern - technology and science first withheld, then embraced. As Indian cricket gets richer, the challenge, ironically, will be to escape the damage that follows from meddling, over-interventionist systems and coaches. Sporting cultures have to remember how to foster learning before professional systems teach us to believe in the latest "ideas". And individual players have to remember how to forget, to strip away the ugly plastering imposed on them by bad coaching, to find the authentic structure underneath. Coaches should help them. Remembering and forgetting, each at the appropriate time, is all there is to it. In the 44th game of the season, against Gujarat Lions, de Villiers and Kohli shared a stand of 229 off 96 balls - a world record in T20s. At the start of the 18th over, de Villiers already had 112 off 48 balls, and Kohli was 52 off 41. When Kohli then hit a four and a six over extra cover, de Villiers walked down the wicket and asked, "Are you thinking what I'm thinking?" Kohli was. He went from 52 to 103 in 12 balls. "Easily the best two batsmen in the world," was the judgement of Warner that evening, himself a candidate for the accolade. It turned an opponent, Brendon McCullum fielding at mid-off or cover through the partnership, into a fan. "We tried everything to remove them; we bowled full, short, wide, into the pads and so on. The quicks tried taking the pace off the ball. Nothing worked. 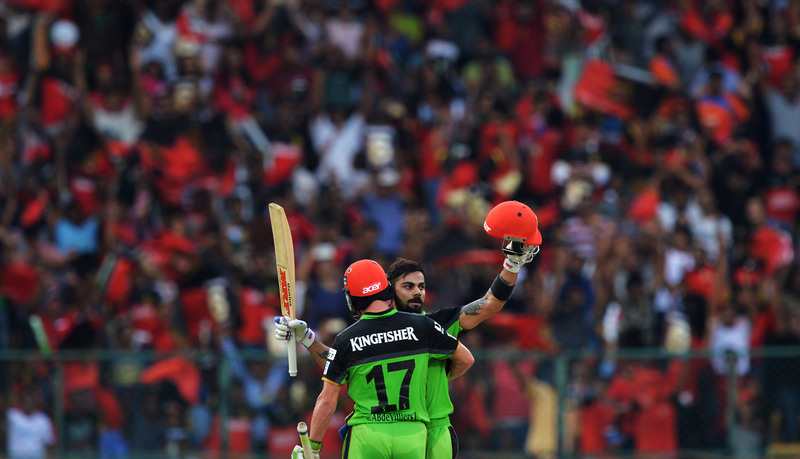 AB and Virat's batting that day was breathtakingly skilful… the fan in me, the cricket lover, had the best seat in the house. Rather than admonish our bowlers for what occurred, this was a time to celebrate genuine mastery." There was no slogging, no bludgeoning. Just complete batsmanship, precise and primal, delicate and brutal. They left the game elevated and expanded. And I felt something I've felt watching Federer-Djokovic finals: "Aha - so that's where sport is headed." Only this time, of course, they were on the same side of the net, playing doubles.